Toss arugula and cilantro together in a large salad bowl. 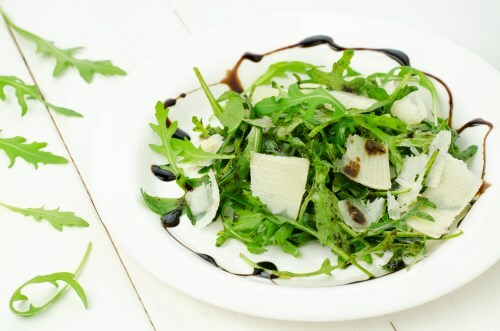 Drizzle arugula mixture with lemon juice, melted extra virgin coconut oil, and balsamic vinegar. Sprinkle with red pepper flakes and black pepper; toss salad again. Sprinkle salad with Parmesan cheese shavings and toss again to serve.